Get ALL THREE in my latest release CRAVING A HERO! Meanwhile, here’s a sample of one of the prizes. 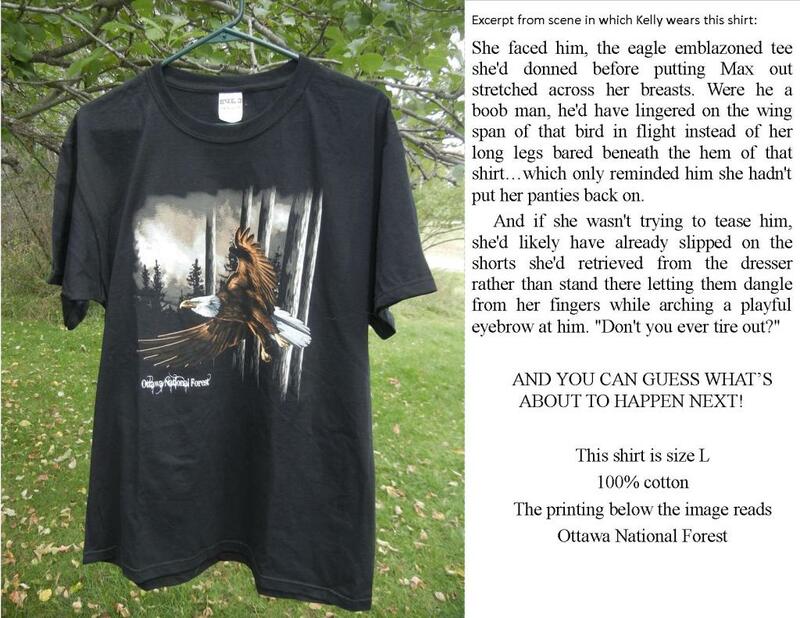 This t-shirt was worn by heroine Kelly Jackson during a rather memorable moment in the story. Be sure to read the excerpt with the picture. The shirt came from the Ottawa National Forest Ranger Station in the Upper Peninsula of Michigan where CRAVING A HERO is set. This entry was posted in Fiction Readers, NEW RELEASES, PROMO, READERS, Romance Readers, Uncategorized, Writers and tagged Abandonment issues, animals in love stories, books set in Michigan, Celebrity baby, contemporary romance, Family relationships, humorous romance, Long Distance Relationships, love story, Loving an Action Hero, midwest setting, romance novel set in Michigan, Secret Baby Story, Unconditional love on October 18, 2014 by Barbara Raffin.